The American Health Council recently elected Tisha Phillips, MSN/ED to its Board of Nurses. Mrs. Phillips is a native of Wilson, N.C. Currently a staff nurse at Rex Hospital and a member of the nursing faculty at Durham Technical Community College in Raleigh, N.C., Mrs. Phillips focuses on delivering optimal care to her patients as well as educating rising nursing students. While she has held her role at Durham Tech Community College for two years and at Rex Hospital for five years, Mrs. Phillips has spent the last 21 years in the healthcare industry expanding her skills and knowledge in medical-surgical and cardiac/cardiothoracic surgery. Mrs. Phillips’s professional pursuit stemmed from a family matter. After her grandfather was diagnosed with cancer, she decided she wanted to help change other people’s lives. She enrolled at the North Carolina Agricultural and Technical State University and earned a Bachelor of Science in Nursing degree, and later, earned a Master of Science in Nursing degree from the University of Phoenix in 2014. She initially started her career at Nash General Hospital in Rocky Mount, NC. She later worked at Wake Medical Center caring for cardiothoracic patients. Currently, she works at Durham Technical Community College and Rex Hospital. On a daily basis, Mrs. Phillips teaches medical surgical-aspects and works with students in the laboratory at Durham Technical Community College. On weekends, she assesses four to five patients with cardiovascular disorders, prepares patients for discharge, and educates families at Rex Hospital. Her dedication to her patients and her career earned her admittance to the Sigma Theta Tau International Honor Society, an organization that celebrates nursing excellence in scholarship, leadership and service, according to its official website, in 2014. Her efforts also earned her the Golden Key Award in 1997. To ensure that she remains connected with her peers, she is a member of several professional associations including the North Carolina National League for Nursing and the American Nurses Association. Additionally, Mrs. Phillips lends her academic skills to her local church as she volunteers to teach children about various biblical subjects. She plans to continue to excel in her career by educating her patients and their families as well as receive her certification as a nurse educator. With more than 6,400 staff members, UNC REX Healthcare is one of the largest employers in Wake County. We pride ourselves on our dedicated staff, and it’s clear from their smiles, willingness to help and unwavering commitment to excellence that UNC REX employs the best and treats them as such. 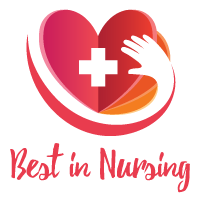 In fact, UNC REX was the first business in North Carolina to open a daycare for co-workers’ children, and we have received multiple awards for being one of the best places to work in healthcare and in the Triangle. Durham Tech Community College aims to be its community’s first choice for learning. As a great learning college, it will continue to be a model for demonstrating student success and excellence in teaching; empowering learners to enrich the local and global communities, and preparing students to contribute to the economic vitality of the region.